The businessman says the newspaper obtained “intimate photos” including one of him in boxer-briefs and another in just a towel. Jeff Bezos says the National Enquirer’s parent company tried to “blackmail” him by threatening to publish “intimate” photos of the Amazon boss unless his private investigators backed off the newspaper. The world’s richest person said he was the target of “extortion” by the US tabloid’s publisher, American Media Inc (AMI) whose boss is David Pecker, a friend of President Donald Trump. 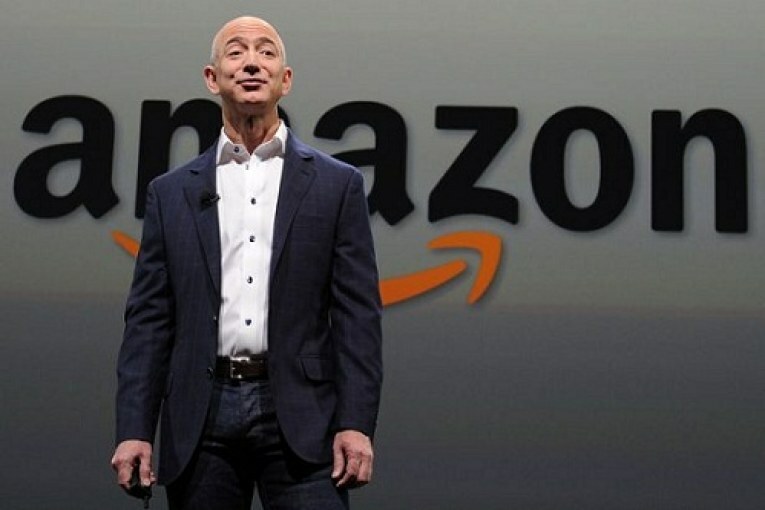 Mr Trump has hit out at Mr Bezos in the past over the Post’s critical coverage of the White House, with AMI previously admitting it used “catch-and-kill” practices to help Mr Trump win the presidency. :: A “full-length scantily-clad body shot with short trunks”. The email also stated there was a photo of Ms Sanchez “wearing a two-piece red bikini with gold detail dress revealing her cleavage”. Previous : Emiliano Sala’s Sister has Led tributes to her Brother as a Body recovered from the Wreckage of a Plane.